Kolkata was affectionately dubbed “City of Joy” by author Dominique Lapierre in his bitter-sweet 1985 novel about one of the metropolis’ most notorious slums. Apply the epithet to the Bengali capital as a whole—with its exotic cuisine, eclectic landmarks and sky-scraping temples—and it shakes off its poignancy. 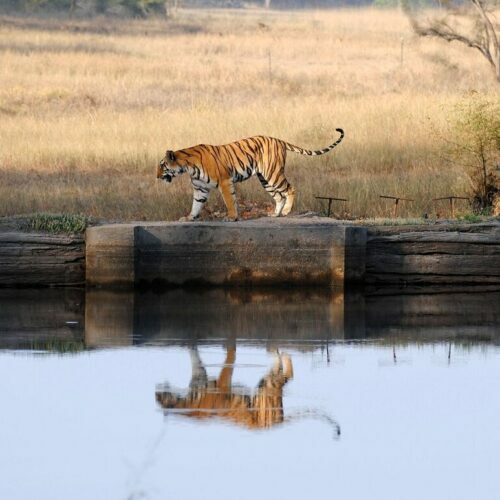 An adventure here uncovers a vivid culture and a dazzling insight into Bengal’s affluent past. Allow our Kolkata guide to introduce you to the city’s finest treasures. Stark white against the cerulean sky, the Victoria Memorial is constructed from the same milky Makrana marble as the Taj Mahal. It houses a museum of fascinating colonial-era relics—don’t miss the rare antiquarian books that include Omar Khayyam’s poetic Rubaiyat. This dappled tumble of moss-covered tombstones and foliage-shrouded Christian shrines dates back to 1767. The oldest grave, that of Mrs S Pearson, bears the year 1768, while Charles Dickens’ son Walter is one of South Park Street Cemetery’s more notable late residents. The pulsing hub of India’s capital of culture reaches a crescendo every autumn with its vivid Durga Puja festivities. The city is fluorescent with colours, lights and elaborately painted statues of the mother goddess. 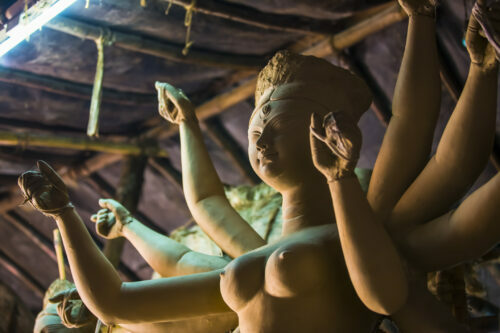 Any Kolkata guide will recommend a visit to Kumartuli to witness the making of these clay effigies. Its maze of narrow lanes bristles with sculptures in various stages of creation, which, when completed, are borne into the Hooghly River on the final day of the festivities. The foodie highlight of our Kolkata guide, Terreti Market is renowned for its early morning culinary offerings. Eschew traditional Bengali luchis (crisp fried flatbread) for a breakfast of plump momos and steaming-hot dumplings. On Kolkata’s northern cusp, this impressive nine-spired edifice dedicated to the formidable dark goddess Kali dominates the east bank of the Hooghly River. The crowds thronging around Dakshineshwar Kali Temple are testament to the patron saint of Kolkata’s popularity in this city. Dip at least a toe in the holy water of the temple’s ghats if a full immersion feels a little too bracing (or adventurous!). Now a museum dedicated to the Nobel Laureate, Rabindranath Tagore was born and died in the gracious terracotta-hued 18th-century Jorasanko Thakur Barion the northern edge of Kolkata. His original paintings adorn the walls, and photographs and manuscripts give glamorous insight into noble life in early 20th-century Bengal. The lovingly restored palace-turned-heritage hotel, The Rajbari Bawali offers sumptuous boutique hospitality on Kolkata’s rural southwestern outskirts. Unwind on slow wanders through the sleepy village of Bawali, close enough to Kolkata to dip into its cultural vibrancy, far enough away to totally decompress. Thrusting 48m above the green expanse of Kolkata’s Brigade Ground, Shaheed Minar— Martyr’s Tower—offers spectacular panoramas across the Bengali capital. The soaring view is ample reward for the hefty 218-step climb. Gaze out from the deck of a boat as Kolkata’s freneticism drops away to reveal rural fishing villages and riverside temples. Slicing through Kolkata’s core, the Hooghly River is Bengal’s main artery, and a cruise along it offers precious glimpses into daily life. Constructed entirely from marble in 1835 by a wealthy art collector, the Marble Palace has remained in the family as its private residence. Many of the rooms are open for the public to peruse its wealth of Victorian furniture and glittering chandeliers. Keep an eye out for the Rubens, rumoured to be hung among its paintings.